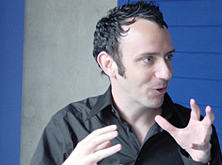 The UK Sony PlayStation site has posted Josh Randall’s keynote at the Cybersonica arts fest in London. Josh Randall, a sometimes CDM reader (still out there, Josh? 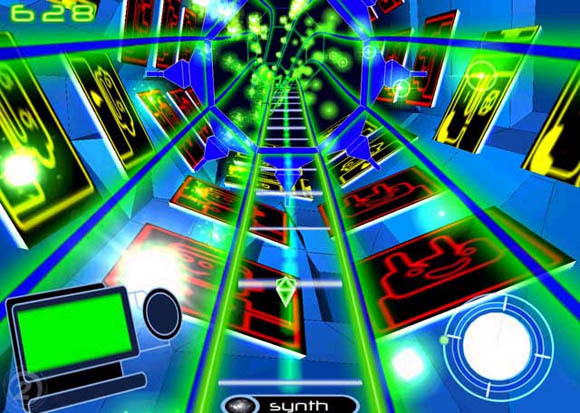 ), is Creative Director of Harmonix, the groundbreaking game shop that created Guitar Hero and other interactive music games like Amplitude, Frequency (pictured), and (soon) Guitar Hero II. Josh talks in the interview about the upcoming PS3, Cybersonica, and the possibility of other instruments. (Keytar Hero? Accordion Hero? Ukelele Hero? I’m game, Josh!) In his keynote video, he charts the history and past games of Harmonix, talks about the creation of Guitar Hero and the potential of music games, and looks to the future — not only Guitar Hero II, but the future of musical games in general. Of course, the convergence of music and gaming remains a story that’s dear to our hearts here. That makes it all the more fantastic seeing Guitar Hero hit the big time. It could be just the beginning.